Fresh news related to Croatian tourism, but also for tourism in the region. Big offer of accommodation and free submission of accommodation and other tourist offerings. The Ministry of Tourism carries out administrative and other tasks relating to: tourism policies of the Republic of Croatia, the Croatian tourism development strategy; development and investment in tourism; the development of congress, rural, hunting, health, youth and other specific types of tourism. Photogallery of Istria and Croatia. Travel Guide to Croatia - a web site dedicated to travellers and visitors to Croatia. 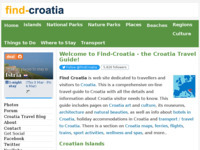 This is a comprehensive on-line travel guide to Croatia with all the details and information about Croatia visitor needs to know. This guide includes pages on Croatia art and culture, its museums, architecture and natural beauties, as well as info about hotels in Croatia , holiday accommodations in Croatia and transport / travel to Croatia. There is a section on Croatia maps too - a very important tool for any traveller. Welcome to Croatia! Info site about the beautiful country Croatia. 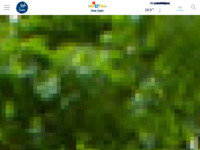 Discover and sence Croatia on this site. 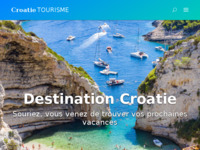 Croatia travel portal in German language. Croatian DMS - info about Croatian destinations - cultural and nature atractions, events, gastro, sport, entertainment and shopping. 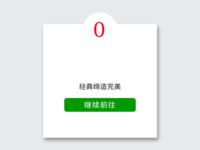 First reall-time reservation system for lot of hotels and appartments. 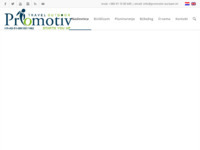 Human edited, Croatian travel resource. Hrvatska turistička zajednica. Mediteran kakav je nekad bio. Turističke informacije. Discover the croatian coast, adriatic sea and enjoy the good life in this beautiful country between sea and moutains. 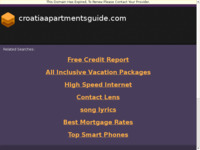 Portal to advertise private accommodation in Croatia. 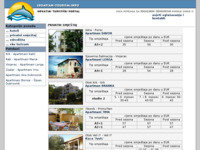 Great offer of apartments and rooms in Croatia. Direct contact with owners. Wine roads are there to represent the tourist offers of Požega-Slavonia County, those subjects who have decided to present themselves through the Wine Roads project that uniquely encompasses the offers where each individual is able to make their own route through the application My Route which can also be used by travel agencies. Big Game Fishing in the Adriatic Sea. 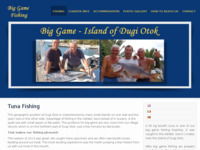 We organize Big Game Fishing trips in the open sea departing from the Croatian island of Dugi otok. Minicards Zagreb - Best places in Zagreb! 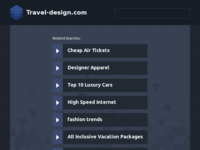 Minicarda is a comprehensive marketing solution for advertising in tourism, culture and gastronomy. Minicards Zagreb offers clients a complete service that includes a card with photo and city maps, printing and card storage, continuous distribution and regular reporting of card spending. Minicards cards are located on specially designed stands set in the most attractive tourist spots; hotels, tourist information centers and museums. Currently, there are more than 70 locations in the city where the Minicards stands. Promotion of tourism and destinations. Consulting services for the hotel, restaurant and real estate industries (Power of 3); from innovative conceptualization to precise execution, and from quality management to high performance. We represent a competitive advantage and an added value to; investors, developers, operators and owners of large or small enterprises. Our focus is to offer boutique integral consulting solutions, through personalized service and care for details. 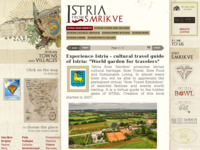 E-book - cultural book about Istria (architecture, history, people, music, cuisine, olive oil and wine, events).